Towards the end of last year, when we came to the realisation that the very popular program we had been using was no longer meeting our needs, we went looking for something else. That elusive something else! We were already deep within the Medieval time period and had covered Vikings earlier in the year and I didn't really want to go it alone. I did however know that I wanted to move forward with all things Medieval. Things like Knights, Chivalry, Jousting and all the fun that that contains. So I was quite elated when I stumbled onto the Knight Lap-Pak over at Homeschool In The Woods. Yes the targeted age is K - 2 but all three of my kids did this at varying levels. The images are a little cutesy and young looking, but they were all ok with that. There really is very little writing so I just ramped it up for mine by adding in some written reporting requirements. This Lap-Pak is available on CD or via a download. Given that HITW is an American company I chose the download option. We decided to put our mini books together on sheets of A4 coloured card, that way they can be hole punched and placed directly into a ring binder, or protected with plastic sleeves first. We enjoy lapbooks but I always struggle with storing them. 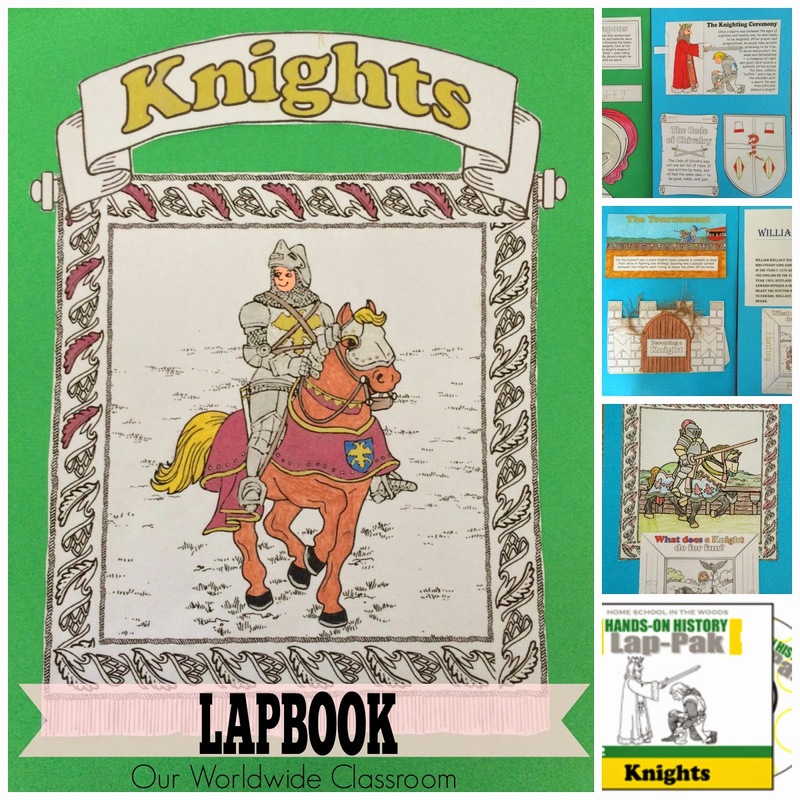 The Knight Lap-Pak includes an MP3 Audio story to listen to as you work through the many mini books and activities that it includes. 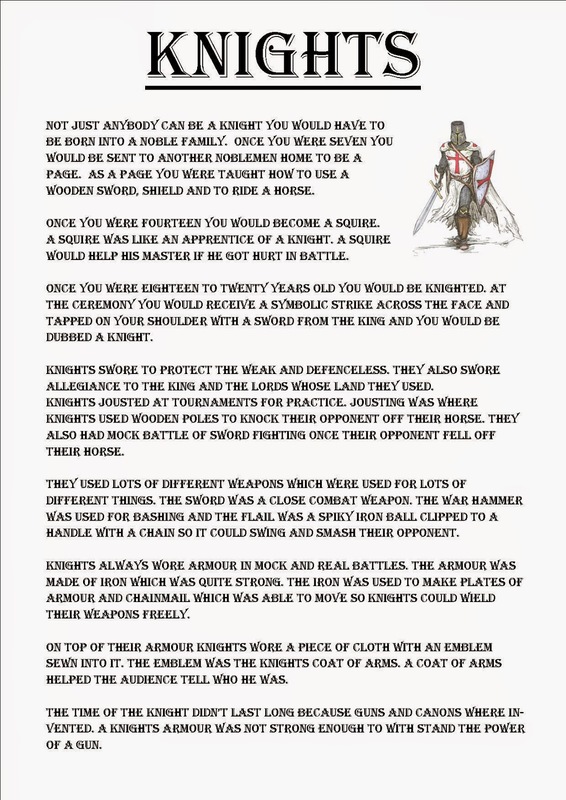 It covers pretty much all there is to know about Knights for younger kids, weaponry, chivalry, ceremonies etc Here after reading about their shields and what the symbols on them represent they each had to design their own shield. There are several colouring pages throughout the pack and the entire MP3 Audio story can also be printed to use as a read aloud and/or to include in your lap pak if you wish. My kids especially liked the interactive mini books, here on The Tournament one, where my son spent a massive amount of time getting the colours just right, you can move the jousting knight along the page and the castle draw bridge on the book below it really does go up and down. After completing the Knight Lap Pak and reading our pile of books about Knights my eldest wrote a brief report covering all of the main points on Knights. 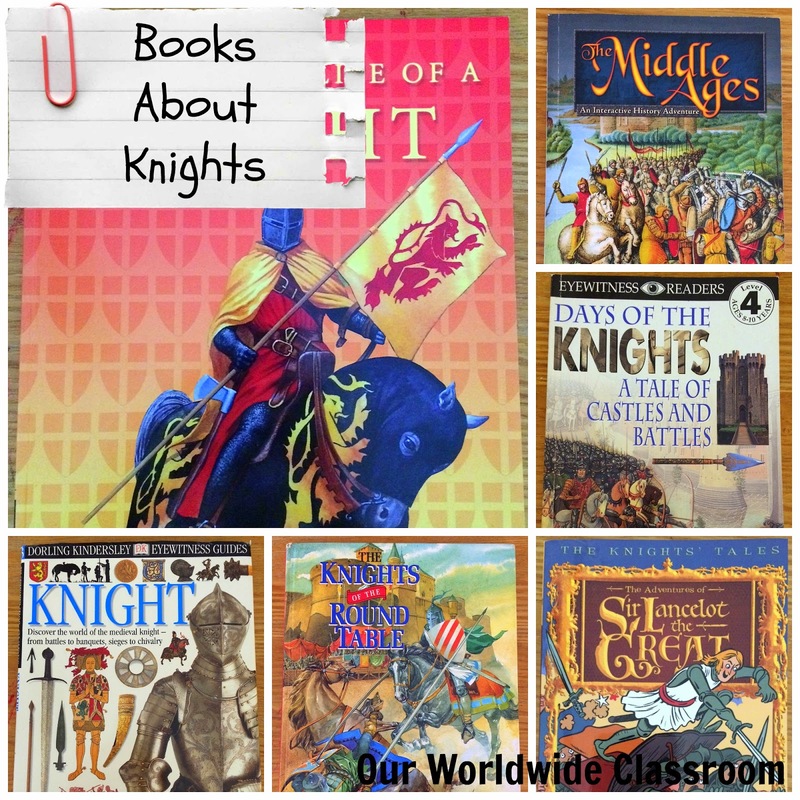 Do you have any other great books or activities you have done when learning about knights? I'd love to hear about them if you do. P.S I was NOT compensated in any way for this post. Simply sharing a product I purchased that we enjoyed using.